"Customizing one's stirrup angles is a great development in riding technology. The MDC Intelligent Stirrups® are very comfortable and I really like the preset angles and the equal pressure they provide. "MDC Stirrups are the best and most comfortable stirrups I have ever tried! "MDC Stirrups have helped my leg position. Their unique adjustability makes it possible to custom fit your stirrup to your riding needs." "The MDC Stirrups reduce concussion and release pressure throughout my entire leg. From ankles to knees to hips, they are more comfortable and provide a great base for competitive riding at all levels." "These are the most comfortable stirrups I have ever ridden in, it's like wearing your favorite shoes all day long. They are the best stirrups I have ever tried." “I never gave my stirrups a thought until I tried the MDC Intelligent Stirrup. Wow. The stirrup is so comfortable and allows my leg to hang in the ideal position without tension. It is a comfort to know that I am riding in a stirrup that will not hang up on my boot in the event of an unplanned dismount. I have them on all my saddles now. I recommend the stirrups to all of my students. This is one simple change a rider can make to their equipment and notice a dramatic improvement immediately”. "The practical design of the MDC Stirrups allows me to maintain a better position and balance. The leathers stay comfortably fitted and the stirrups remain perfectly positioned on the balls of my feet. They are truly innovative and a pleasure to use." "I love the stirrups!!! I thought you might like a picture here from OPUS SEPT going down the Derby bank at Spruce Meadows when he won the Chrysler Classic this summer. I think the stirrups are fantastic. I have not had any knee pain since I started using them. I believe the stirrups allow for a much more direct contact with the horse. The thigh knee and calf have more even pressure so that less side torque makes for no knee pain." "I love the movement of the MDC Stirrups, virtually 'clicking' my leg into the proper position. My feet remain securely and properly placed in the stirrups. The MDC Stirrups alleviate the pressure caused by the concussion of landing from a jump, which has significantly reduced ankle, knee, and hip aggravation." "I would like to say thank you for the brilliant design of your stirrups. I am 16 years old and have suffered from chronic knee pain since I was 14. At one point, it was so bad that I was looking at taking time off of riding to recover, because when I did ride, I had to ride without stirrups and I couldn't compete without them. This was unfortunately right before the 2004 USEF Junior Dressage Team Championships (recognized by the USOC as a Junior Olympic Equestrian Event) which I had qualified for. My trainer (Jennifer Hoffmann) recommended that I try your stirrups, and it made all the difference in the world!! I was finally able to ride virtually pain-free, and I was able to compete in the championships, where I won the team gold medal and finished third individually. Since then, I have put your stirrups on all of my saddles, and I won't ride in anything else. Your stirrups saved my riding career!" "What a super design idea the MDC Stirrup represents. Great comfort and a good looking safety stirrup all in one. I love the extra comfort and security of riding in my MDC Stirrups." "I am so pleased to have stirrups that are designed for both comfort and function. Since I started using my comfort stirrups I have felt that my stirrup irons are perfectly placed on the balls of my feet. They seem to stay in place better than any other stirrups I’ve used. Thank you again for a great product!" "The MDC Stirrups reduce the concussion in my knees and ankles and allow a real sense of even pressure throughout the leg. I really feel more secure in my position as my stirrups are right where I want them. Its just one more thing not to worry about as I get ready for competition." "I want to thank you for the stirrups which I've been using in earnest. I love them. They fit perfectly with my concept of riding with "Fluidity" allowing riders to truly mold their legs around their horse and not have the stirrups interfere. We sell products that we believe in to our loyal customers via our companion company, Parelli Collection. Our partners Letitia and Art Glen are interested to contact you to investigate the possibility of retailing the stirrup, so I gave them your web and email address. We look forward to a mutually rewarding relationship"
"MDC Stirrups are the way of the future. They allow me to use my leg in the proper way. Stirrups with cutting edge technology." "Not only does this iron offer the correct, logical angle for a competitive stirrup, it's weight keeps the stirrup in the vicinity of the foot for a quick retrieval as opposed to the lighter, plastic models on the market today." "I really like the stirrups because they keep my leathers flat against the saddle and give my leg a better position." "We had a good show last weekend with Wild One winning both the Intermediaire II and Grand Prix in the national show at the Palm Beach Dressage Derby. I love the stirrups, Incredibly comfortable...that little bit of shock absorption IS quite relaxing on my leg and allows my leg to be longer. The safety aspect is especially reassuring to me (a mother of a 5 year old) without being an overt safety stirrup." "MDC stirrups are the absolute cutting edge of stirrups. I love the way they are always in the right position. I would highly recommend them to riders at any level." "MDC stirrups are far and away the most comfortable stirrups I've ever used! I've put them on all my saddles and have recommended them to my students. I wouldn't have thought that a stirrup could make such a difference, but I'm convinced now." "Not only are the MDC stirrups smart-looking and safety-conscious (two words seldom used in the same sentence), they literally invite the leg to fall into the correct position, and to stay there without discomfort in the knee or ankle. I loved them from the first moment I put my feet in them!" "The MDC Stirrups have been a perfect match for me and my horses. The pain relief in my hips and knees has been amazing !! I never wanted to believe that a stirrup could provide such comfort. I have recommended both the MDC Ultimate and the MDC Comfort Stirrup to all of my students, especially my Adult Am. and my Jr./Young Riders. They too have all made such tremendous improvements. I would like to thank you so much, not only for myself but on behalf of all of my students, for brining to us such an amazing product which is truly priceless." "I found the MDC Intelligent Stirrups fantastic from the first day I rode in them! Since using the stirrups, I have had no pain in my ankle that I injured two years ago; I highly recommend them." "MDC Intelligent stirrups are the only stirrups that I can ride and jump in all day without having the distraction of sore knees and ankles. The rotating top provides a variety of positions so that you can be comfortable on any horse in any discipline!" "Finally a stirrup that works! Your foot and your leg fall into place! Simply the best!" Dressage trainer, Oded Shimoni is a veteran International dressage competitor including competing at two World Equestrian Games and the European Championships. He qualified two horses for the Olympics and trains top competitors in the U.S.
“The very first time I rode in an MDC Stirrup, I noticed the difference. The stirrup design removes the pressure from the lower leg. You can forget about leg and knee pressure and concentrate solely on riding. And the added safety feature makes this stirrup the truly “intelligent” choice”. "I have ridden in the MDC stirrups for a week. I must say that they are very comfortable! I noticed the comfort the first time I used them but I was reserving judgment to be sure I was not imagining the change. I have (like all riders) some pain on the inside of my knee ligaments, this has been eliminated by use of your stirrups. I am sold ! I have recommended them to my students. I would like to put them on all my other saddles (4) . I would be happy to recommend your stirrups and be included in your list of riders who endorse them." The MDC Corporation wishes to acknowledge the loss of a great equestrian and friend. 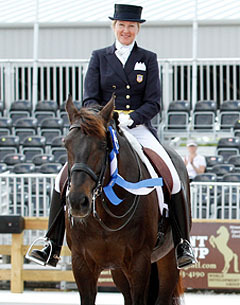 Carol was a well respected Dressage rider and USEF Judge and was one of the first endorsers of the MDC Stirrups ®. "I work primarily with adult riders, most of whom have some physical pain and limitations due to illness or injury. For many riders with painful feet, ankles, knees, hips, or backs, these stirrups can help riding become a joy again instead of a source of frustration and pain. These stirrups help the horses as well, because the riders' increased comfort and relaxation are invariably reflected in the horses' increased relaxation and improved way of going. Thank you on behalf of many, many riders - the MDC Ultimate Stirrups® represent a quantum leap in rider comfort, security, support, and safety." "I love MDC Stirrups! They are truly unique and a welcome addition to my equipment. I have them preset at 45 degrees which eliminates nearly all the pressure across my shin from the leathers. The stirrups offer me the freedom to use my aids comfortably and effectively. Thank you!!" The MDC Corporation wishes to acknowledge the loss of a great equestrian and friend. Amy was a well respected Three Day Event rider and was one of the first endorsers of the MDC Stirrups ®. "For eventing, as in any equestrian discipline, sound technique and balance breed good performance for all three phases. With the MDC Line of rotating stirrups, I am able to move efficiently, maintain an effective leg position and the correct rider balance whether I am riding dressage, show jumping or galloping cross country. The solid base of support and technical improvements which I feel in these stirrups have convinced me that they are, without a doubt, the most advanced stirrups on the market today." "Anything that helps me with feeling more secure in my position is a must in my program. And these stirrups are a must! Thank you for everything." "We chose the MDC Intelligent Stirrups® because we believe that they increase the safety of Equestrian Sporting Products. In addition, it is apparent, that the rider would gain a competitive edge by being able to regain their stirrup quickly while on course"
"The Stirrups are great; I know I can depend on them. It's one less thing to worry about in the ring." "MDC Stirrups are very comfortable. I love the fact that they turn to fit your own personal style. I got tired of always having to train my stirrup leathers; with the MDC stirrups I only have to turn the adjustable top. They allow my leg to hang down in a nice position. Thanks MDC!!" " I wish I had discovered the MDC Stirrups a long time ago! My knees were constantly hurting. With the “click and set” swivel system, a rider has the option of turning the stirrups so their legs are placed at a natural angle. This relieves stress on the joints and the added feature of the “flex” stirrups helps in absorbing the stress placed on the ankle." Annie: "These stirrups are great, because they are always at the right position and don't force your leg to be at an awkward angle." Karl: "Due to the adjusting top of the stirrups I don't get any more rubs on my legs and am able to hold my legs more still." "I love the MDC stirrups. There is less stress on my lower back and joints. They allow the leg to gently fall into the right position while reducing tension on the ankles and knees. And the safety factor is a real plus. I highly recommend these stirrups." "I love them! I have an old injury..a broken left ankle with many pins and plates and limitied rotation movement in it. So, with these stirrups, adjusted at the 45 degree angle, I have no trouble picking up the stirrup AND they are really great on my knees." 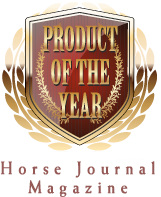 MDC is proud to have their line of Intelligent Stirrups captured on the cover of Practical Horseman.